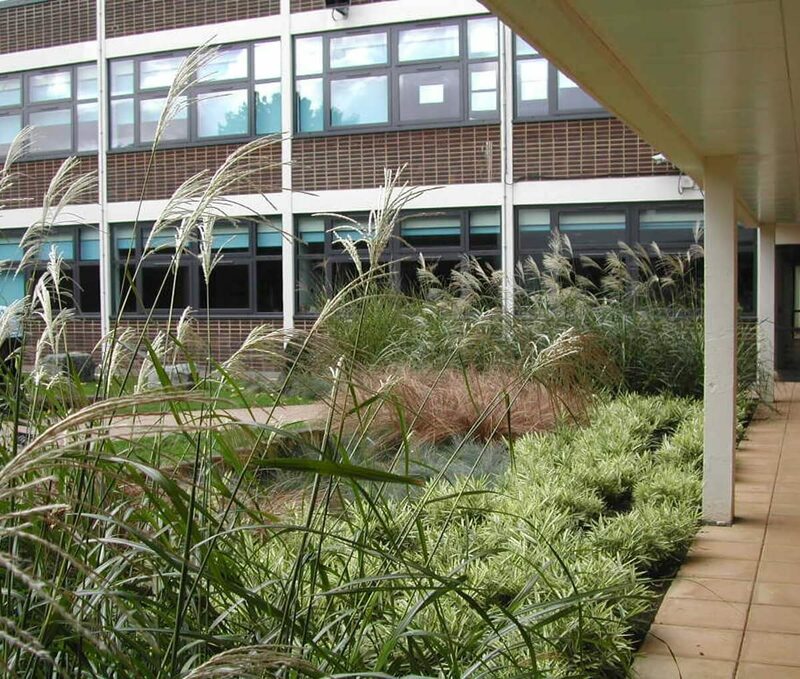 This PFI project involved the refurbishment and extension of secondary school buildings. We were appointed as consultant landscape architects to the landscape contractor appointed by D4E Mulberry Group, a public/private sector consortium with the Local Education Authority and Miller Construction. Following an extensive consultation process with the pupils, we prepared detailed landscape proposals and construction details for a series of internal courtyards and circulation spaces. Each courtyard has a distinctive theme; nature, visual, active and entrance, providing a range of functional yet stimulating outdoor spaces.